Registration open for the Main Site and Online participation! 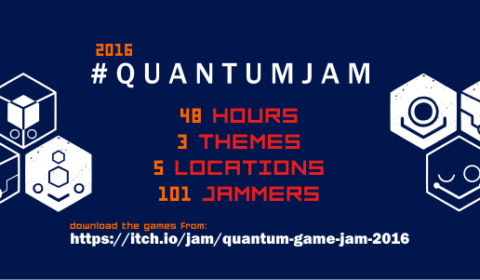 The call for satellite game jam locations for the Quantum Game Jam 2016 has been opened! Please apply your site here: https://goo.gl/forms/RLGRoTW0lwOmoKPo2. We have the date for the Quantum Game Jam 2016. The third annual Quantum Game Jam will be held on the last weekend of November: 25th-27th Nov, 2016!